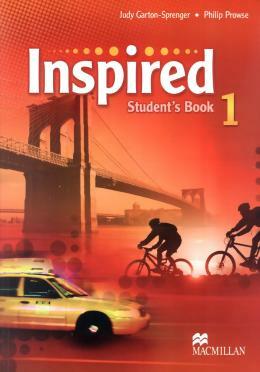 Inspired is a four-level course for teenagers from beginners to high intermediate level. This unique series evolves with students and reflects their changing needs and interests. Inspired builds on the success of the American Inspiration series and brings it up to date with new and fresh content. KEY FEATURES - Cross-curricular and cultural content - A task-based approach which encourages students to draw on their personal reactions to topics and texts - A structured approach to skills with reading, writing, listening, and speaking development integrated into every unit - Grammar is presented through engaging texts and dialogues, which provide a realistic context for the dialogue - Vocabulary is organised by topic with a focus on vocabulary learning strategies - Differentiation for mixed-ability classes, including extension activities in every lesson - An emphasis on learner independence, study skills, and self assessment.